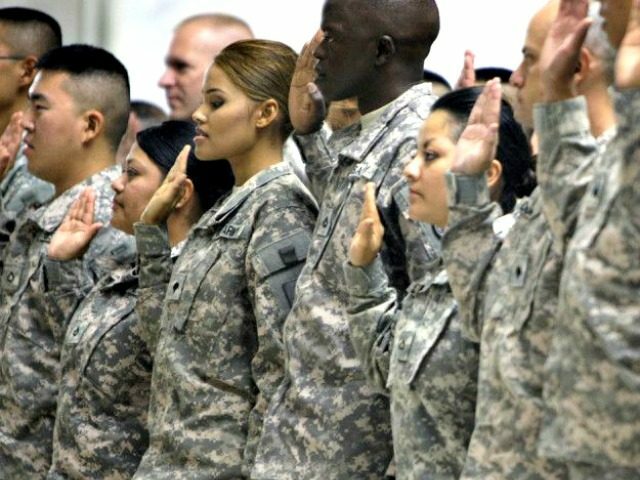 Defense Secretary Jim Mattis said Thursday that the approximately 900 people in the U.S. under Deferred Action for Childhood Arrivals (DACA) who have served, are serving, or have signed up to serve in the armed forces would not be deported. “Anyone who is in the delayed enlistment program — in other words they are already signed up and they’re waiting to go into boot camp, anyone on active duty, anyone in the active reserves, and anyone with an honorable discharge is right now — except for two possible exceptions — they will not be subject to any kind of deportation,” he said. Mattis said the two exceptions would be if they committed a “serious felony,” or if a federal judge signs a final order of deportation. “That would be a judicial action that – obviously we obey the independent court system, and we don’t have veto authority over a court,” he said.